When developing and implementing a wound care plan, health care professionals must look beyond predicted outcomes and the general processes of wound assessment, identification, and classification. Many other factors can affect wound healing, such as the patient’s overall health, comorbid conditions, nutrition, immobility, pain, aging, temperature, and possible non-adherence to the care plan. This guide describes in detail the factors most commonly observed to affect wound healing. Careful consideration of these factors in treatment planning is an essential element of best practices in wound care. 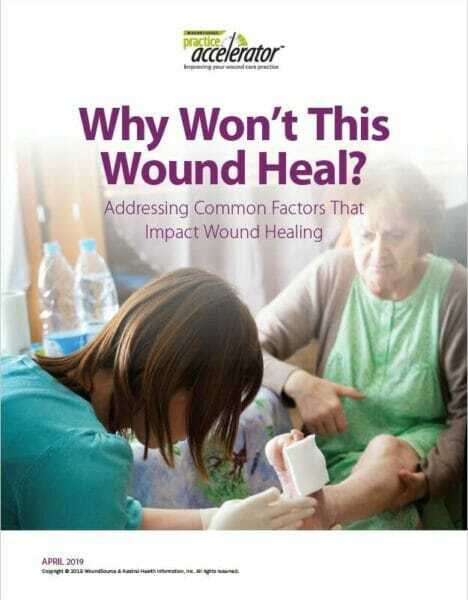 Wound care professionals will refer to this guide often because it presents important, clinically relevant information in a concise format to facilitate treatment planning in their patients, for optimal wound healing.